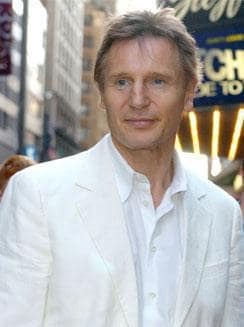 Born in Ireland, Liam Neeson is a major movie star. We love his accent and his talent. Liam Neeson was born in Ireland, but has made a big career for himself in the United States. He starred in Schindler's List, of course, but we absolutely adored him in Love Actually. Also played a key role in Batman Begins. Ted 2: Liam Neeson Joins The Cast!